When repairing it is necessary to observe the sequence of finishing, in order not to dirty and not spoil the ceiling during wall decoration, for example. That is why questions arise, similar to what to do first wallpaper or suspended ceiling. In order to accurately understand everything, it is necessary to find out what actions need to be made to stick wallpaper on the walls and how these ready ceiling ceilings can interfere with these processes or how this can adversely affect it. So, we calculate the perfect moment to install a stretch ceiling. 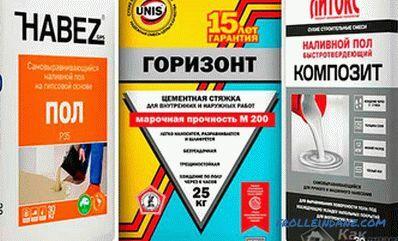 To make new ones Wallpaper pleased as long as possible, it is necessary to prepare well the walls for glueing. Preparatory or draft work - the first stage of repair. In a newly built house, for example, they may consist of priming, plastering, puttying and sanding. Is it possible to install the ceiling before the start of this stage or during this work? Of course not. After all, the profile, in which the stretch ceiling is fixed, is attached to the wall, and in fact it is not there yet, a layer of plaster will be applied to it. Maybe then the stretch ceiling can be installed after puttying? Also no. 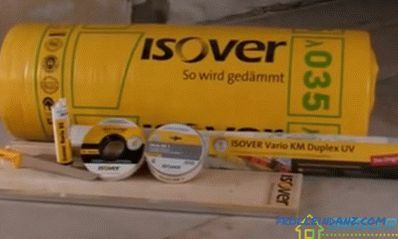 Because during sanding a huge amount of dust will settle on the ceiling. The same story happens with drywall. Before its installation on the wall, the profile for the stretch ceiling is simply nothing to attach. And after installing the plasterboard sheets it is necessary to putty the seams and, accordingly, sand them. And this is again an inconvenience and dust, as in the first case. The technology for preparing walls may vary slightly. It depends on the condition of the surface. If the walls were hung wallpaper, they should be removed. Work is often done with a roller, spatula, water and additional tools that will help remove the wallpaper. It would seem that the wallpaper was removed, now you can install the ceiling. But not everything is so simple. New wallpaper still need to glue, and for this they use a roller, glue, smeared with this composition of the wall. It will be very inconvenient to work if the ceiling is already installed, and the risk to damage the ceiling is great. In addition, adjusting the wallpaper with a pattern, you have to with a knife in your hands to climb to the ceiling to cut off the top edge of the wallpaper - one wrong move - the ceiling is damaged. So, we conclude that before installing the stretch ceiling, the walls should be covered with wallpaper, i.e. all the contact points with the future stretch ceiling should be prepared for finishing. If the wallpaper is already hung, then there are other concerns. Will the wallpaper become unusable during the installation of the stretch ceiling? 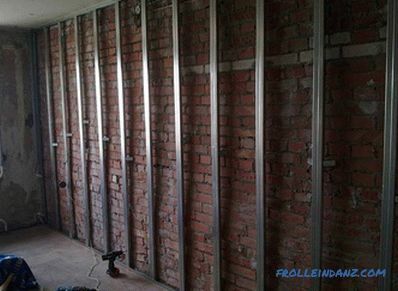 With the installation of wall profiles can be one single problem. Everything is simple there: you need to drill a few holes and fix the profile with fasteners. 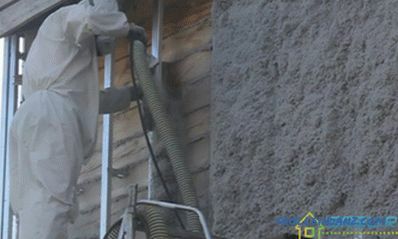 But during the drilling process, dust is formed that can ruin the new wallpaper. 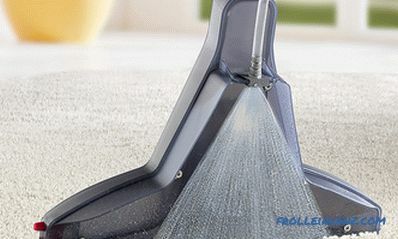 In this case, you need to use a tool with a dust removal system. 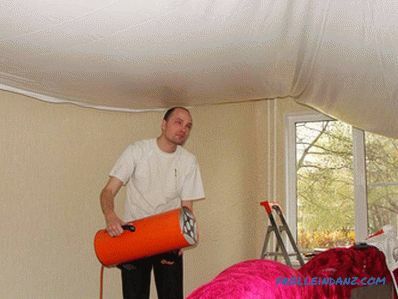 It is often asked if the wallpaper will move away from the walls when the room is warmed up with a heat gun? To heat the tension fabric, the room is heated to 70-80 degrees. 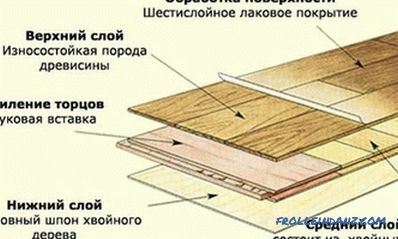 It is established that this temperature does not harm not only vinyl wallpaper, but also paper. So the stretch ceiling can be safely installed when the wallpaper on the walls is already glued. However, after installing the stretch ceiling, the apartment is aired, and when the wallpaper is only recently hung, it cannot be done. The wallpaper before installing the stretch ceiling must be glued in advance. After pasting wallpaper should take at least two weeks. So, we will draw some conclusions from our reasoning. 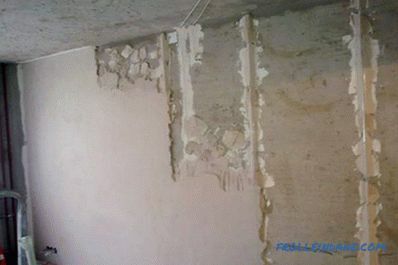 We found out that at least the installation of the stretch ceiling should be started after leveling the walls with plaster or gypsum plasterboard, having finished all the preparatory work for sticking wallpaper, as during the alignment of the walls there are such negative factors as dirt and the possibility of damage to the stretch ceiling . During the installation of the stretch ceiling, everything should be clean. The heat that will be in the room when the fabric is heated up with a heat gun will not damage the wallpaper, as the wallpaper will not experience direct contact with the gun. Even the thinnest paper wallpaper will not be damaged. And vinyl, which are now popular, especially. But install a suspended ceiling, say, the next day after wallpapering is impossible. They are guaranteed to fall off. If you glue the wallpaper after mounting the ceiling, you must be extremely careful and accept some inconveniences. 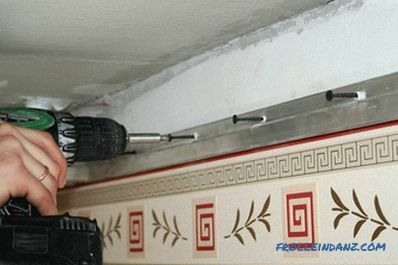 Thus, you can glue the wallpaper even before and after installing the stretch ceiling, however, in each case you will have to take into account some limitations.